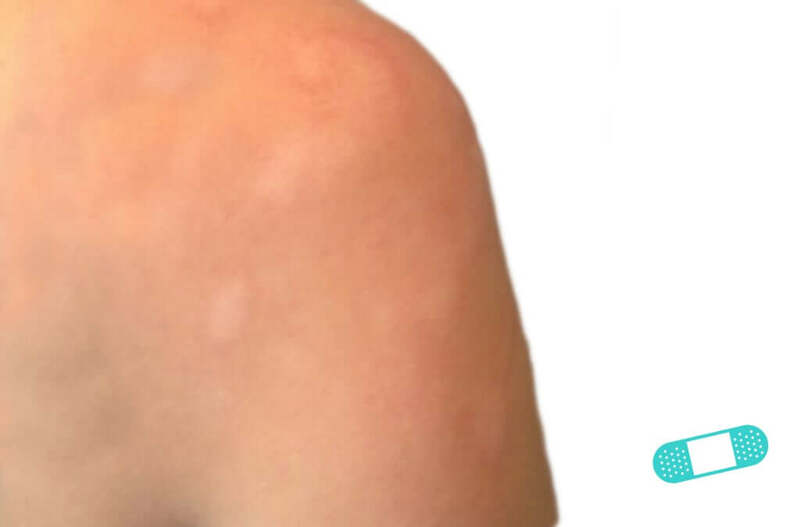 Pityriasis alba is a low-grade type of eczema or dermatitis that is non-contagious and benign. 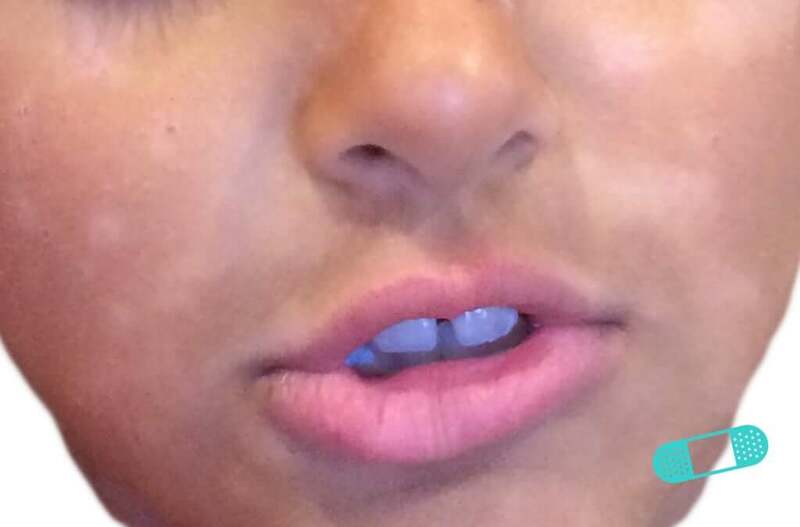 It is common among children and young adults between 3 and 16 years old. 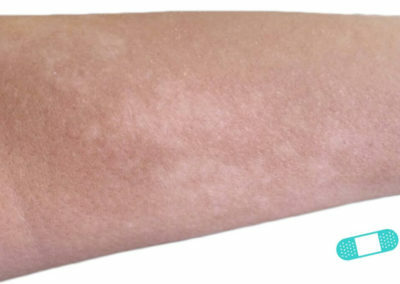 The term is derived from the words pityriasis (scaly) and alba (white). 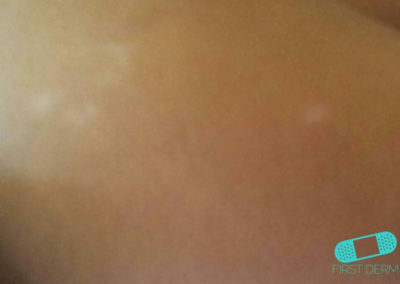 While the cause of pityriasis alba is unknown, it often happens to individuals who have dry skin or atopic dermatitis. 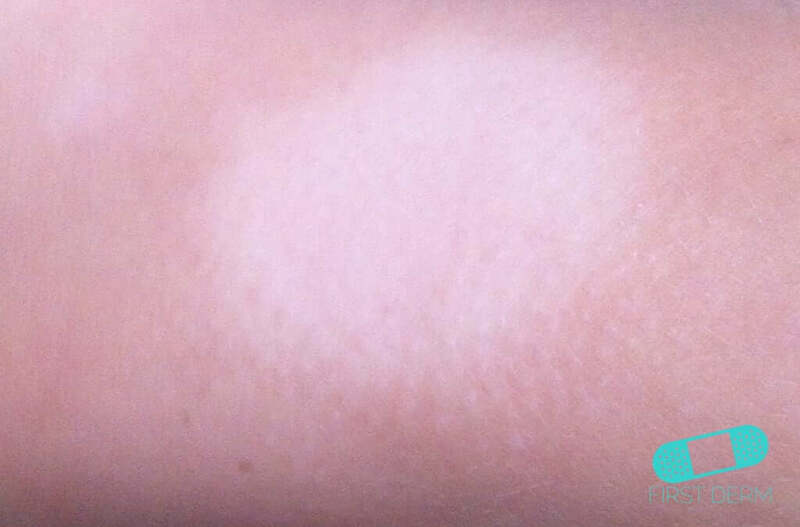 It can also be aggravated by sun exposure, because tanning of surrounding skin makes the affected area more prominent. 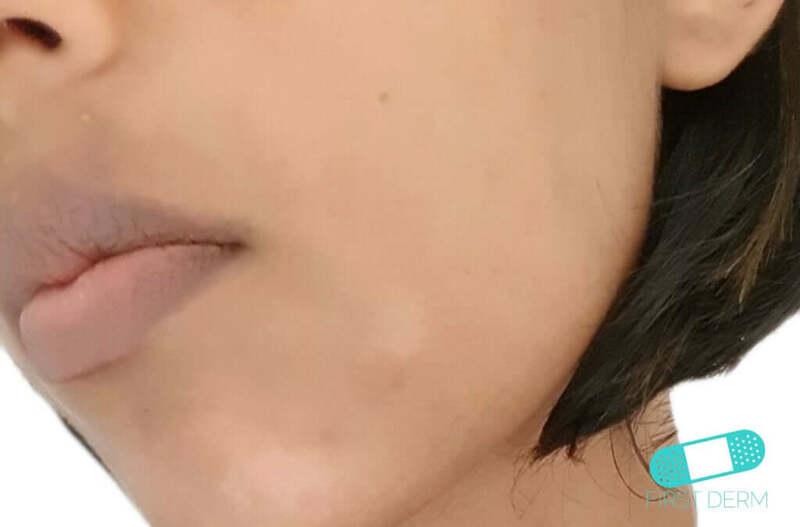 Pityriasis alba lesions often occur on the face, especially the cheeks and chin. 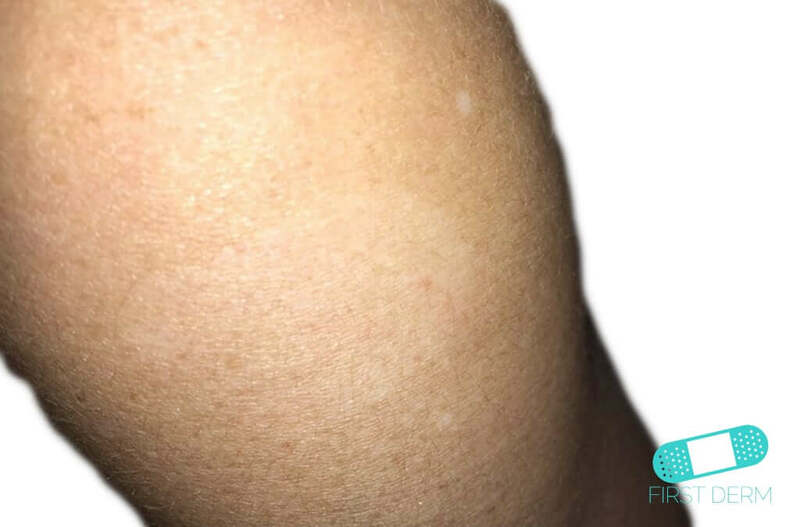 They can also be found on upper arms, neck or shoulders, and less common in the legs and trunk. 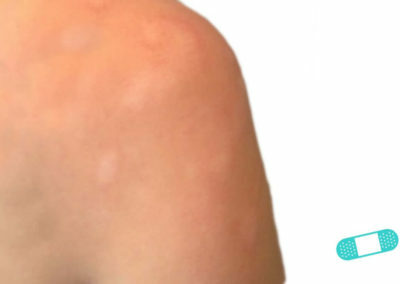 In the first stage, it presents itself as ill-defined, scaly, faintly erythematous patches.  The patches are rounded, oval, or irregular plaques with indistinct margins. 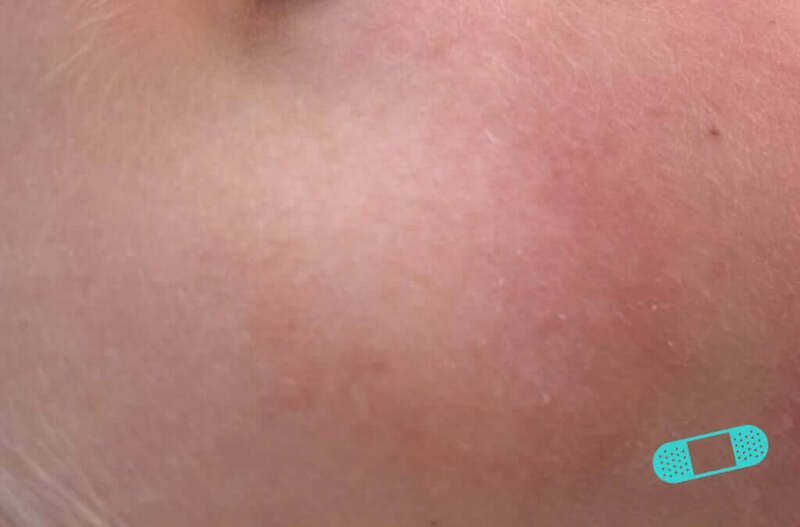 They are usually red, pink or skin colored and 1-4 cm in diameter. 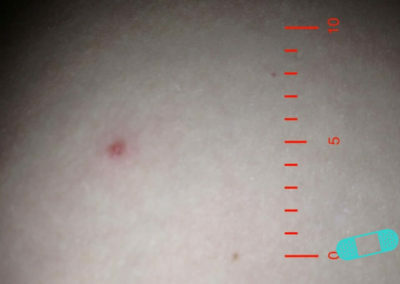 The lesions commonly come in 4 or 5, but can be up to 20 or more. 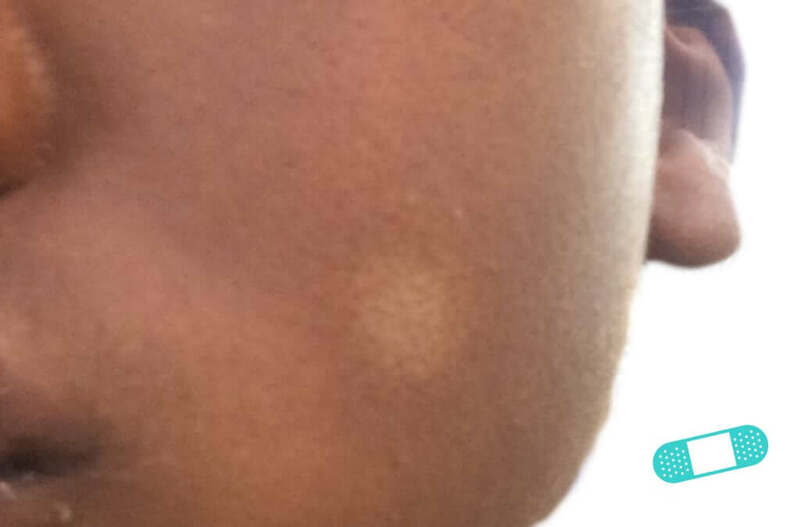 In the second stage, these lesions usually resolves itself spontaneous but leave the area in a pale color. 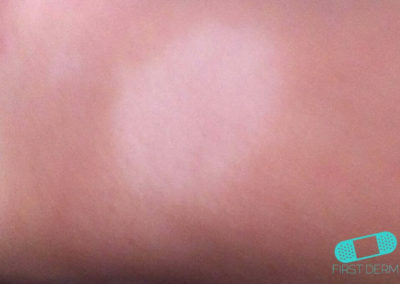 These areas with fine surface scale turn into pale patches in the third stage. 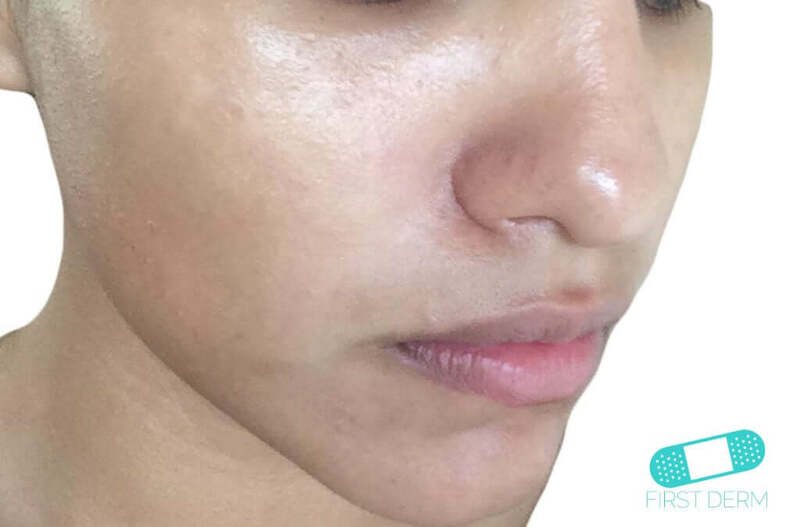 In the last stage, they slowly return to normal pigmentation. 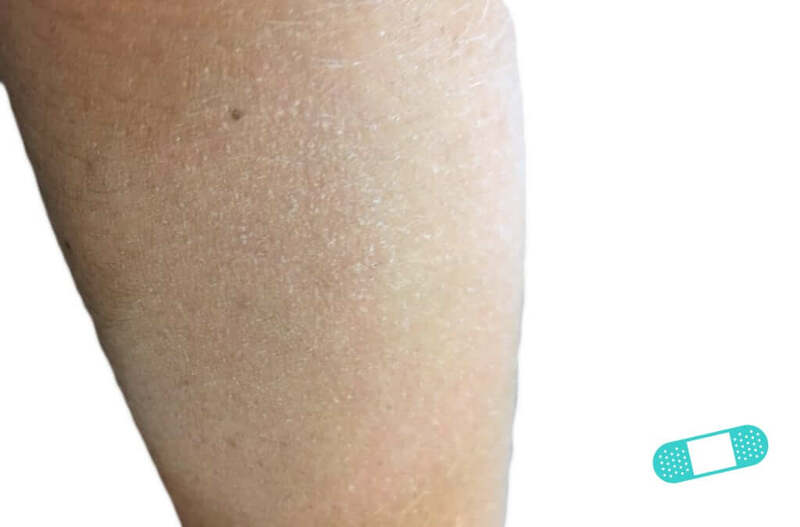 The condition usually lasts a few months, but in some cases, it can persist for up to three years. 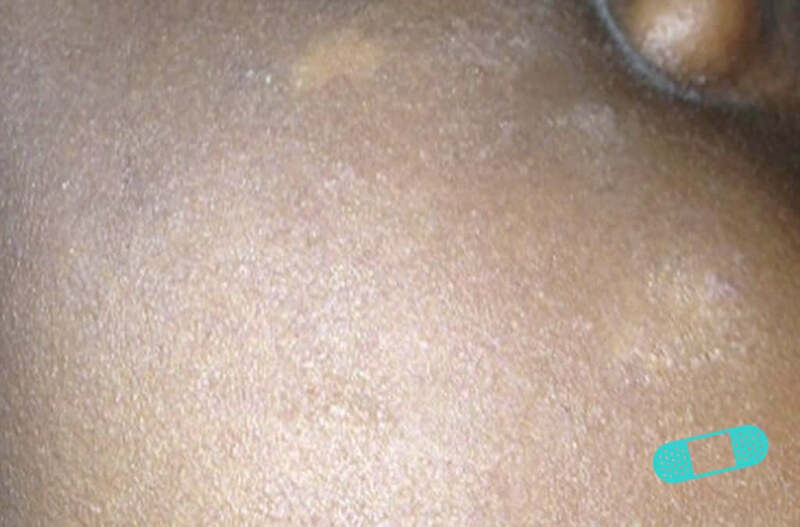 Unusual development of pityriasis include pigmenting pityriasis and extensive pityriasis alba. 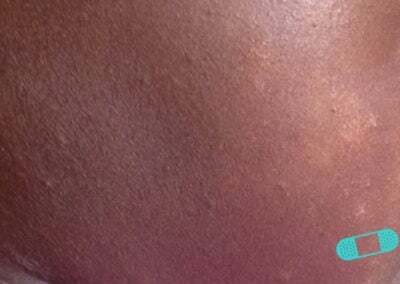 Pigmenting pityriasis typically has a central zone of bluish hyperpigmentation surrounded by a hypopigmented, slightly scaly halo of variable width. 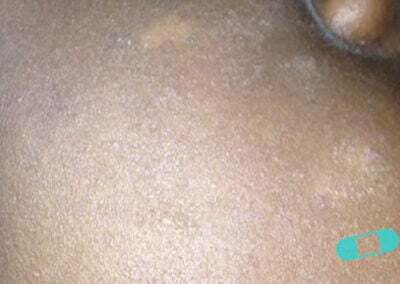 This conditions is often associated with dermatophyte infection and is typically found in darker skin types from South Africa and the Middle East. 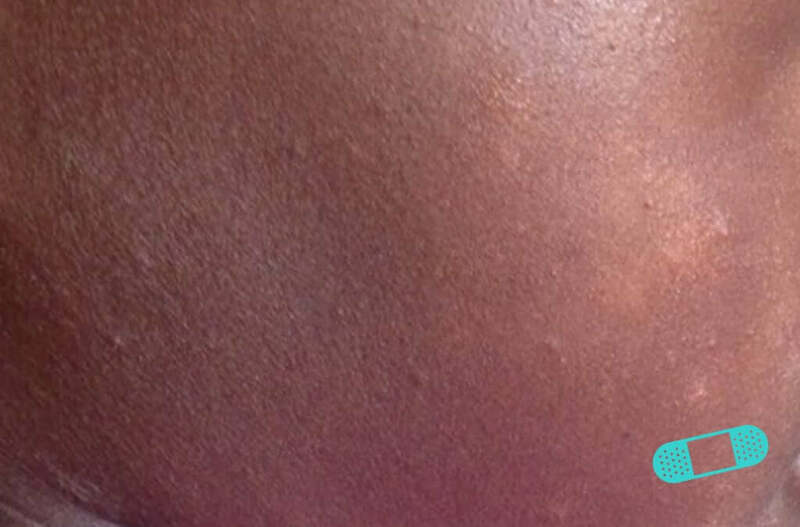 Extensive pityriasis alba has a widespread and symmetrical involvement of the skin. Unlike common cases of pityriasis alba, it lacks a preceding inflammatory phase. 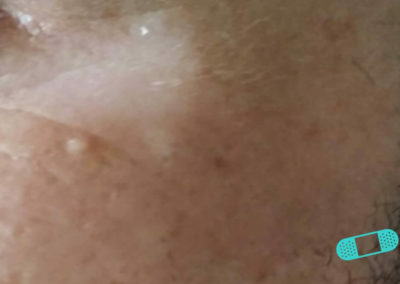 The lesions are also less scaly, more persistent, asymptomatic and more frequently seen on the trunk and less often on the face. 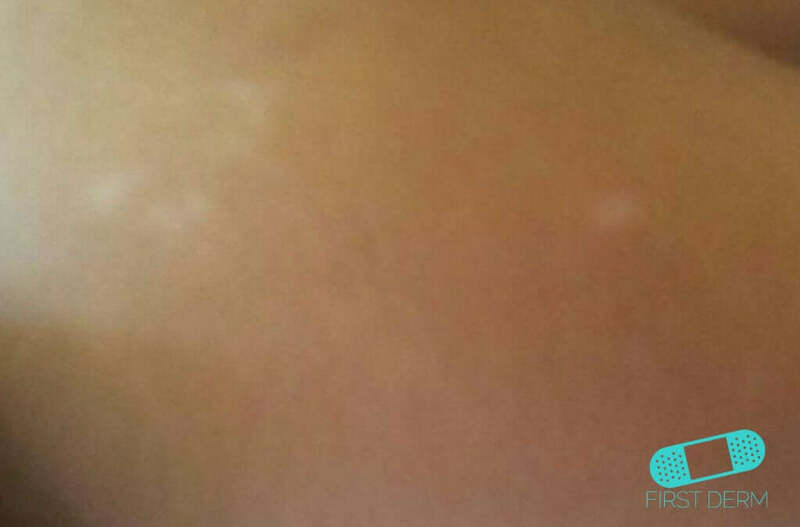 Pityriasis alba usually resolves spontaneously, thus its treatment consists primarily of good general skin care. 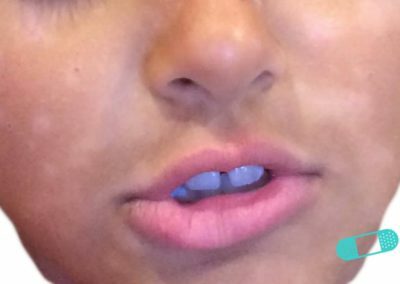 It is important to understand that this disorder is self-limited and benign. 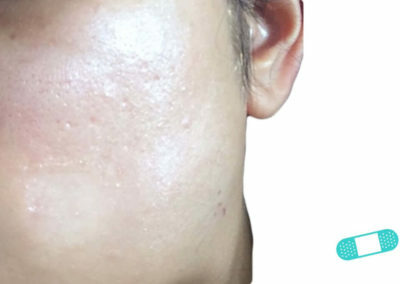 No treatment is needed in most case, but you can use moisturizing cream to improve its appearance while the area heals itself. 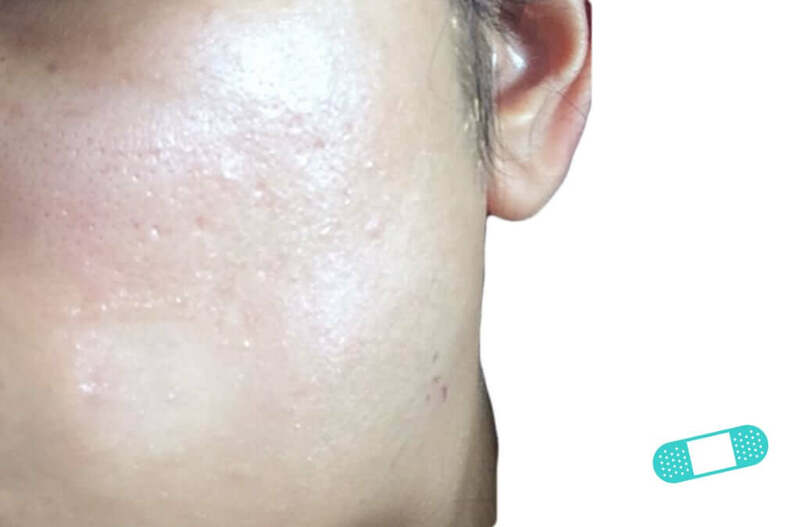 Bland emollient cream can also be used to reduce the scaling of lesions, especially on the face. 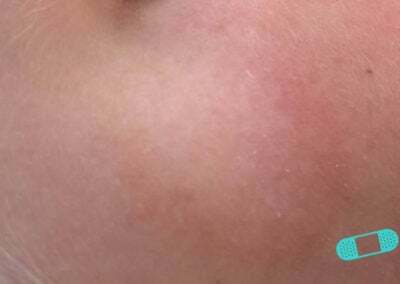 Low-potency topical steroids (eg, hydrocortisone 1%, desonide 0.05%) may help and accelerate repigmentation of existing lesions. 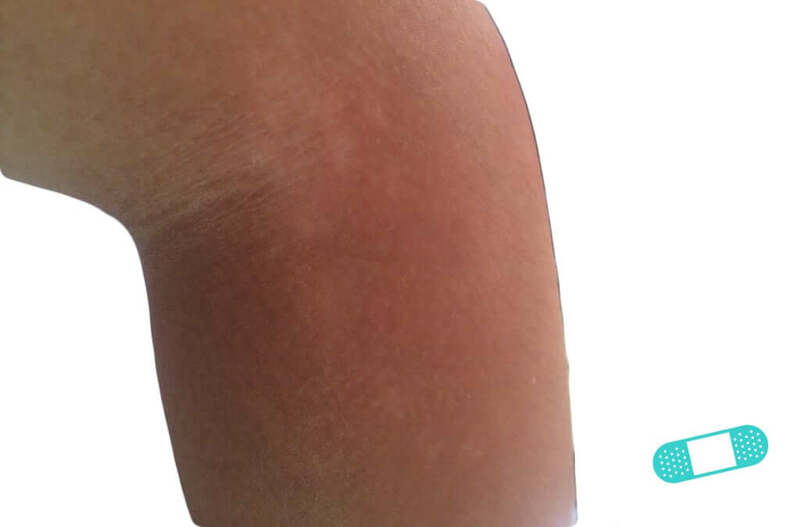 However, prolonged use of topical steroids can cause long-term skin atrophy and steroid changes. 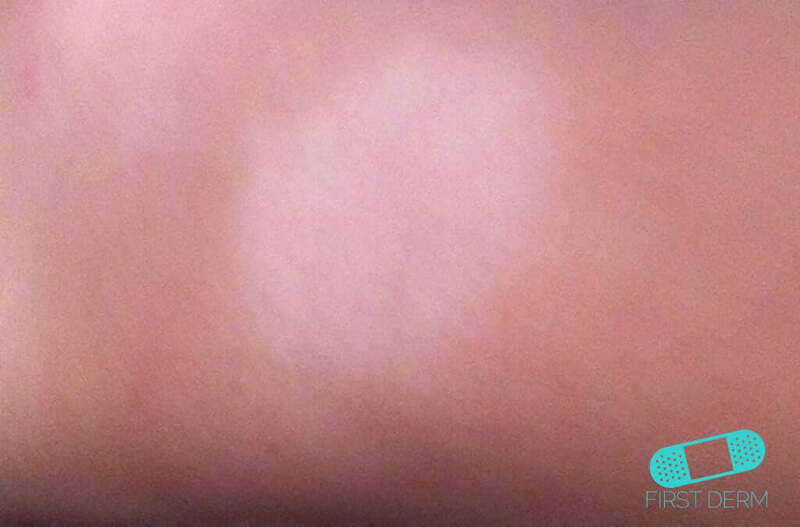 You can also reduce the development and prominence of the condition if you avoid exposure to sunlight. 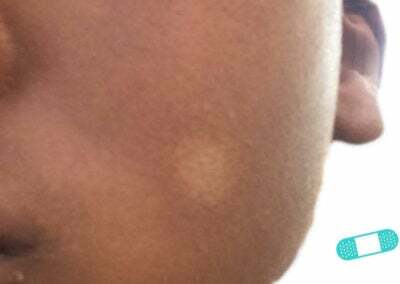 It is believed to appear in children who take hot baths frequently or who are exposed to the sun without sunscreen. 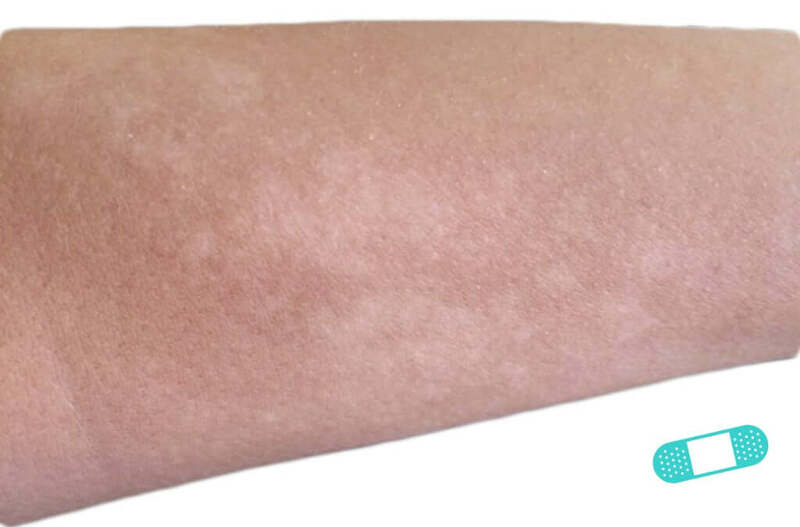 While pityriasis alba is benign, it can be easily confused with other disorders that cause hypopigmentation. 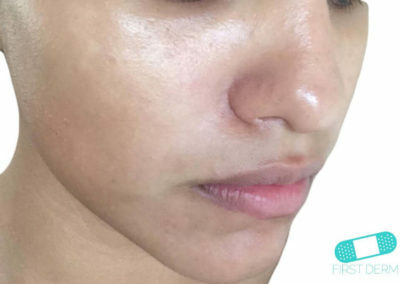 To eliminate these possibilities, you should seek medical advice. 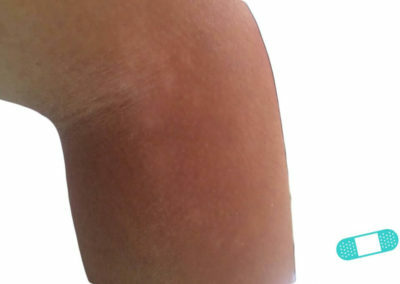 A dermatologist can perform wood lamp examination, scrapings for mycology or biopsy to determine if the condition is actually pityriasis alba. 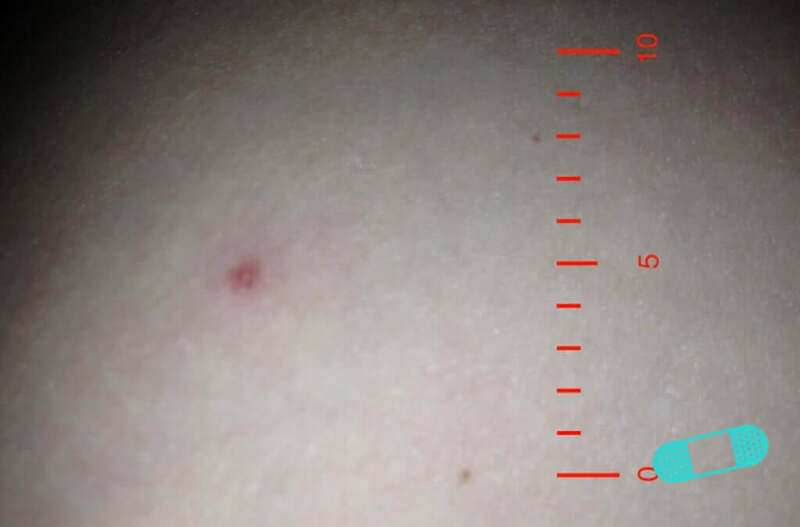 No treatment is necessary for this condition in general. 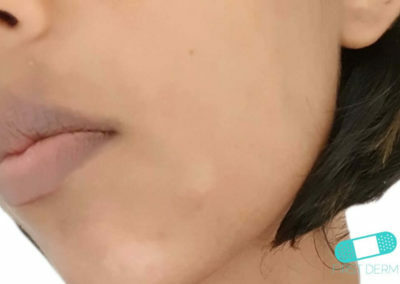 In some cases, dermatologist may prescribe tacrolimus ointment 0.1% and pimecrolimus cream 1%, which have been reported to be beneficial in the treatment of pityriasis alba. 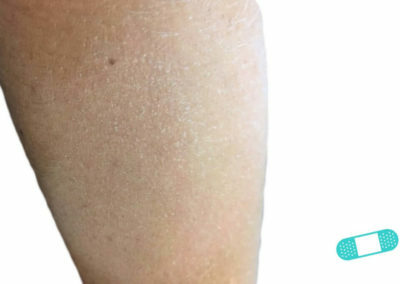 These creams can help reduce skin discoloration and relieve dryness, scaling, or itchiness. 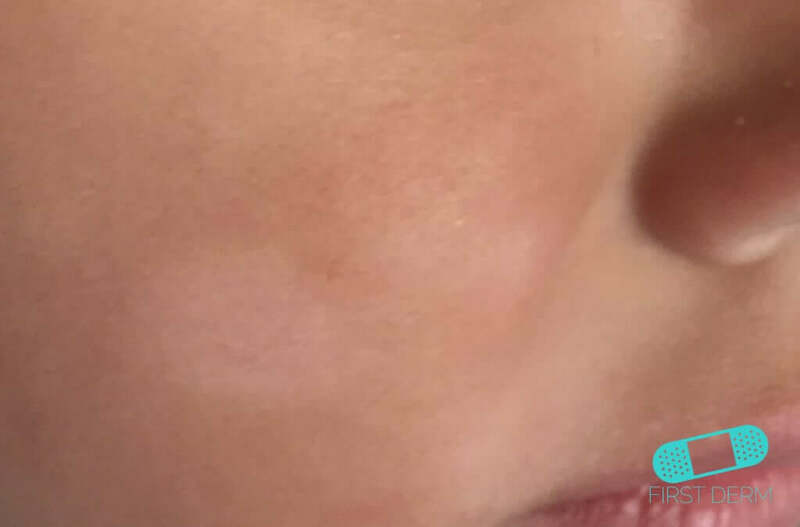 In severe cases, psoralen plus ultraviolet light A (PUVA) photochemotherapy may be used to help with repigmentation in extensive cases, even though recurrence rate is high. 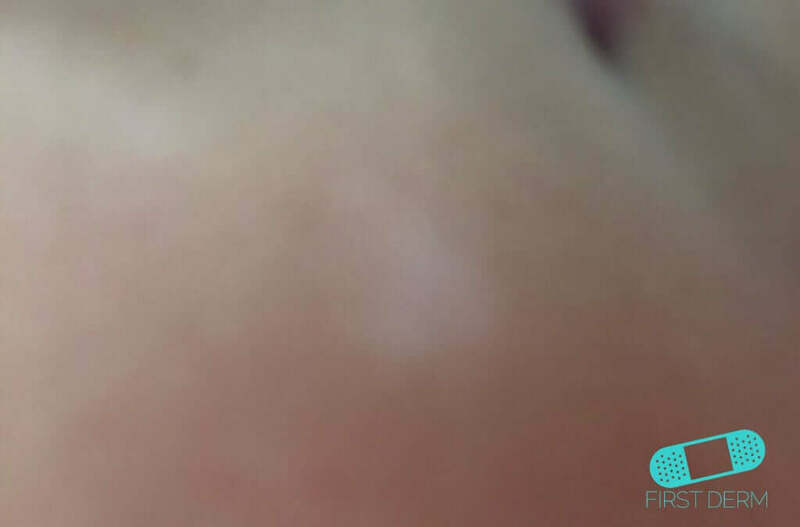 Laser therapy has also been shown to be effective against pityriasis alba.